Irish author Elimear McBride won the 2014 Bailey's women's prize for fiction for her novel ____________? Iran is currently in negotiations with the so called P5+1 group over its nuclear programme. Which among the following country is denoted here as +1 ? Friends, the Canara Bank has released the Pending Results of IBPS PO III. As you know, the bank has released the list of candidates whose results were not processed for want of documents, for the post of Probationary Officers in JMG Scale-I (IBPS-CWE-PO-III Allotment), on 24th May 2014 (check that notification from here). Now, consequent to submission of the required documents, the bank released the list of candidates who have been processed and Provisionally Selected for the post of Probationary Officers in JMG Scale-I. The eligible candidates will be absorbed tentatively in September 2014. The other information regarding joining will be provided to the candidates individually to the registered email & appointment order shall be dispatched by post to the correspondence address provided by the candidates at the time of registration.You can check details from below. All the best. I am Rushabh Jain from Gujarat. To tell u the truth i felt that some of the question was so tought .From the sectionwise analysis i can say that 1) in G.A/Mkt section Most of the question wear asked form RBI , other tax policies n other g.a question i.e iso cerified nu. , where ipl final match played (stadium name) . very few question from computer. 2) Reasoning section some question ware okay n other ware tricky approch. 3) D.I : is like speed test . if the candidate have a speed in it so he/she crack this section. No doubt over there. Descriptive was also good. it`s topic on some I.T related n other economic. Hello this is Naga. 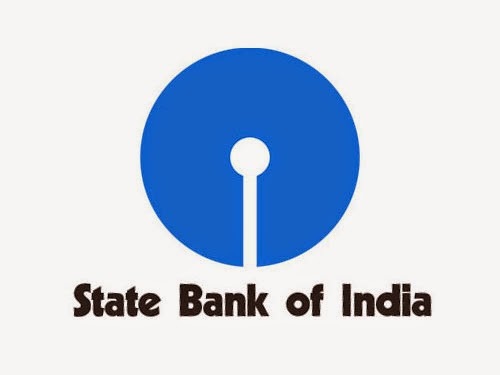 I attempted my SBI PO exam on June 29 th evening shift. Exam was started at 2.30 pm, I started my exam with General awareness area really easy. I attempted 46 questions. Each individual problem has at least 4 sub calculations and each problem takes at least 4 to 7 minutes. The exam started at 2:30, I usually follow a certain pattern in the exam, to begin with Reasoning, shifting to GA, then to English, and Finally DI in Banking exams. Last time in SBI, I missed the cut off by a very short distance, and secured 37 marks in DI, and in IBPS I secured 24 marks in DI. This time, SBI made sure that no one scores a 37 in Reasoning or DI, the paper was far tougher than the last time. I attempted 21 Questions in Reasoning, majority should be correct, in some 40 minutes, then shifted to GA and finished it before the clock could tick 3:30, then shifted to English and with 40 minutes left, I shifted to DI, (I attempted 47 in English and 31 in GA). Now the beginning was okay in DI, and I thought I will easily manage 20 Questions by the time 2 hours duration gets over, but the paper turned ugly soon, and i could manage only 13 questions in DI. All should be correct though, and total attempt reached 112, accuracy is okay, but the paper, as everyone else said, was far more tough than the expectations, so those who are left with their exams, make sure that you have a strategy, and make sure that 15 (with full accuracy) be your attempts max in DI, Reasoning 20 will do, English and GA only will take you through. The cut off should not cross 90 according to my experience, with sectional cut offs, Reasoning 13, DI 10, English 15, GA 15, for the general category students. The theory exam should be a cakewalk for those who have a Good Command over language.